Book YOURSELF an all-inclusive vacation for as low as $99 per night! Agents, You Deserve Spring Break in Paradise Too. 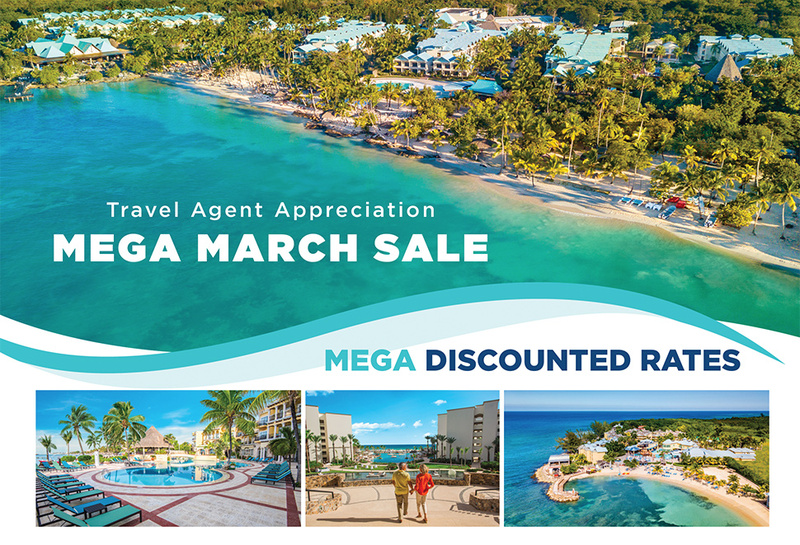 Book YOURSELF an all-inclusive vacation during the month of March at any of the participating Playa resorts for a MEGA discount! Advertised rate of $99 is per guest per night based off double occupancy in a base room category. Blackout Dates: Easter Week (one week +/- Easter Sunday Depending on Resort); Memorial Day WeekendHyatt Zilara™ and Hyatt Ziva™ trademarks and related marks are trademarks of Hyatt Corporation or its affiliates. ©2019 Hyatt Corporation. 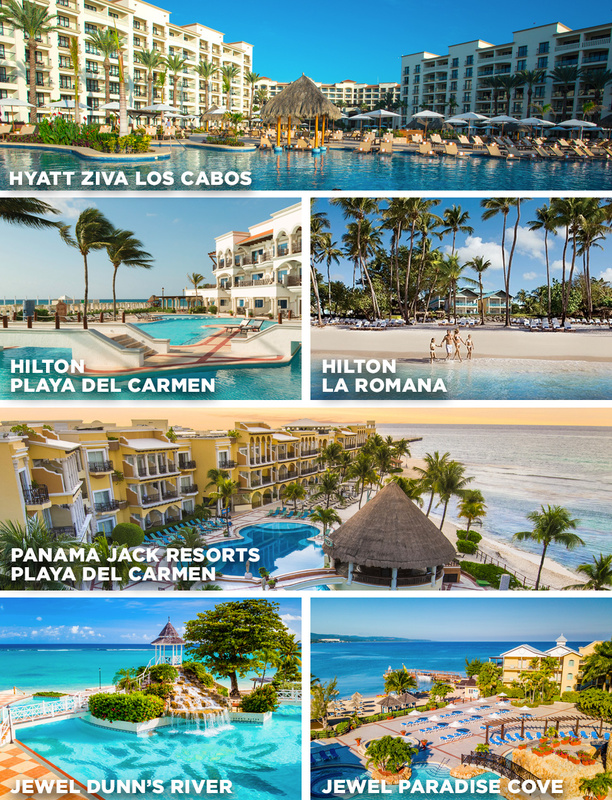 ©2019 Playa Hotels & Resorts is the owner and exclusive operator of Hyatt Zilara™ and Hyatt Ziva™ resorts in Dominican Republic, Jamaica, Mexico; Panama Jack Resorts Cancun, Panama Jack Resorts Playa del Carmen, Hilton Playa del Carmen, Hilton La Romana, Hilton Rose Hall Resort & Spa, Jewel Dunn’s River Beach Resort & Spa, Jewel Runaway Bay Beach & Golf Resort and Jewel Paradise Cove Beach Resort & Spa. ©2019 Panama Jack. ©2019 Playa Hotels & Resorts is the exclusive operator of Sanctuary Cap Cana and Jewel Grande Montego Bay Resort & Spa. All rights reserved.